The aviation industry can be a turbulent place to be, requiring at all times a firm hand on the controls. 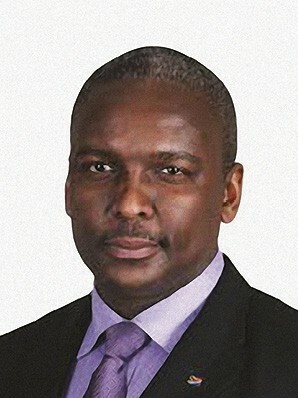 The CEO of state-owned company Air Traffic and Navigation Services, Thabani Mthiyane, is one leader who knows how to keep a cool head under pressure, being the only executive to emerge unscathed from the 14 September AGM in which Deputy Minister Sindi Chikunga is said to have instructed all the members of the Board to resign as they were deemed to be ineffective. 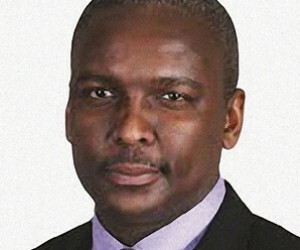 That Mthiyane retained his post as CEO speaks volumes for his reputation as a dynamic, principled, hands-on leader with a deep respect for his country and the institution that he serves. Thabani Mthiyane is as passionate about meaningful leadership as he is about the aviation industry. “There are four key drivers in meaningful leadership,” he says: “respect for one’s career, respect for the institution, love of country and self-realisation. Deferring issues and leaving them to the next generation is not a solution and such an attitude should be discouraged," he adds. Urgency and excellence are what the aviation industry, as the only global business without physical confines, requires, and Mthiyane has made it his business to ensure that ATNS is staffed with people for whom these qualities are second nature. Although aviation has historically been dominated by white employees, Mthiyane’s recruitment methodology has seen to it that his employees all have impeccable CVs. "I look for character, and special characters," he says. He rates humility as number one, with courage coming a close second. He is quick to add that he prefers to hire people that are better than him, and more capable than him. He says that it was his paternal grandmother who instilled this attitude in him. He saw the benefits first-hand within his family: as a polygamist, his father had a very large family; selfishly competing for resources within the family would have been unwise and unhealthy. He says that his grandmother always emphasised that "when you wake up you are doing it for your children, your wife, your house and the nation". This instilled sense of altruism was to be of considerable benefit in Mthiyane’s aviation career. His destiny was not to be shaped by his failures but by his resilience. He remembers how an apparent lack of academic prowess failed to deter him in the slightest. Despite failing Grade 7, his optimism, resilience and sense of altruism kept him going. It turned out that he was good at repairing technical gadgets; he glows when he mentions that the community depended on him for keeping their black and white television sets going. However, despite his technical know-how, academically it was not happening. Another academic setback came when he was expelled from the then University of Natal for slow academic progress. Nevertheless, this did not deter him as he was resolved to become a qualified engineer, which he did in due course. Now his cherished values have found application in the critical aviation space. Mthiyane’s concern for the wellbeing of others extends to the passengers whom ATNS is charged with looking after. Their safety is always on his mind. "That I live in Boksburg, a few minutes from one of Africa's biggest airports, OR Tambo International, does not help, as I am constantly holding my breath when planes are in CFIT mode," he says, referring to Control Flight into Terrain which happens when planes are either landing or taking off. "I constantly and consistently think about those on board and pray for their safety," says Mthiyane, known not to be shy about his spirituality. No accidents have occurred under his watch. This remarkable statistic is due in no small part to the discipline Mthiyane has succeeded in instilling at the institution. Research has shown that one of the biggest contributors to aviation incidents and accidents is the human factor – up to 75% of all accidents and incidents within aviation can and may be linked to human error. “That fact has led to the development of a discipline within aviation relating to how humans perform within aviation and, more importantly, how to improve their performance,” says Mthiyane. When the study of human factors in air traffic control began, it focused on equipment and workplace design. These remain important, of course, but a more integrated and sophisticated approach is required. A key development in this area has been the development of simulation programmes that allow controllers to build up their knowledge and experience in a safe situation, and also permit the gathering of data that will influence technology and process design in the future. Another has been the growing focus on seeing aviation not as a set of distinct parts, but as a complex social-technical system. Thus, in the context of air traffic control, there has been a very useful focus on how the flight deck interacts with air traffic control. Aviation is a highly technical field, whether one is talking about the engines that power the aircraft, the materials and techniques to build them, the comfort and safety of passengers inside the cabin and, of course, the management of an airspace. “All of these disciplines rely on bright young minds with the right skills to take them forward. We rely on all our stakeholders, academia, research institutions, the media to name but a few, to provide much of the research that fuels innovation,” Mthiyane states. For example, ATNS has been called to assist in the Democratic Republic of Congo. Because Europe and Africa share the same time zone, it is inevitable that flights leaving at the same time in both continents will meet somewhere midway – specifically, somewhere in the DRC. The legacy of colonialism, lack of infrastructural investment in the industry and South Africa’s “superpower” status make it a given that ATNS should assist with traffic navigation in these situations. There is a dire shortage of skills in the African aviation industry; a holistic approach to investing in this is a priority. Mthiyane is happy that the SADC region seems to be singing from the same hymn-sheet. He says plans are afoot to have a regional Civil Aviation Authority. Even in the continent at large, there are talks to further enhance co-operation. Bilateral agreements and MOUs have been entered into in this regard. ATNS is happy with their transformation scorecard (46% women, 43% black people). Even so, he does not hide his discontentment that whites are overrepresented in mission-critical areas and senior level management. There are only two black engineers within the exco, which implies that recruitment is still an issue. The tide is turning, however, with plans to develop the ATNS Academy into a fully fledged tertiary education institution. ATNS is already partnering with a few universities, including one in Atlanta, USA, as well as Stellenbosch University and the Universities of Johannesburg, Pretoria and Witwatersrand. With such co-operation, the dream of establishing the South African Aviation Academy might be realised sooner than expected. Already, engagements to this effect have taken place with the Department of Higher Education. As signatories to the Chicago Convention, ATNS knows what is expected of them. There is a need to phase out Chapter 2 aircrafts that are over-reliant on fuel burn. This will lead to fewer carbon emissions, as envisaged by the International Civil Aviation Organization (ICAO). ATNS has embarked on a comprehensive approach to achieve these targets. This approach includes noise abatement, and King Shaka International is living proof of this. ATNS is future-conscious and pro-active. The planned Academy will focus on re-training the staff so that they acquire the necessary skills for the future. Mthiyane has identified three priority jobs, namely satellite space knowledge specialists, upper air space specialist and aviation jurists. With all these grand plans in hand, the future looks promising for this august institution, and with the safety record that ATNS enjoys as well as the quality of its personnel and the clarity of its vision, the future of the South African airspace looks bright.